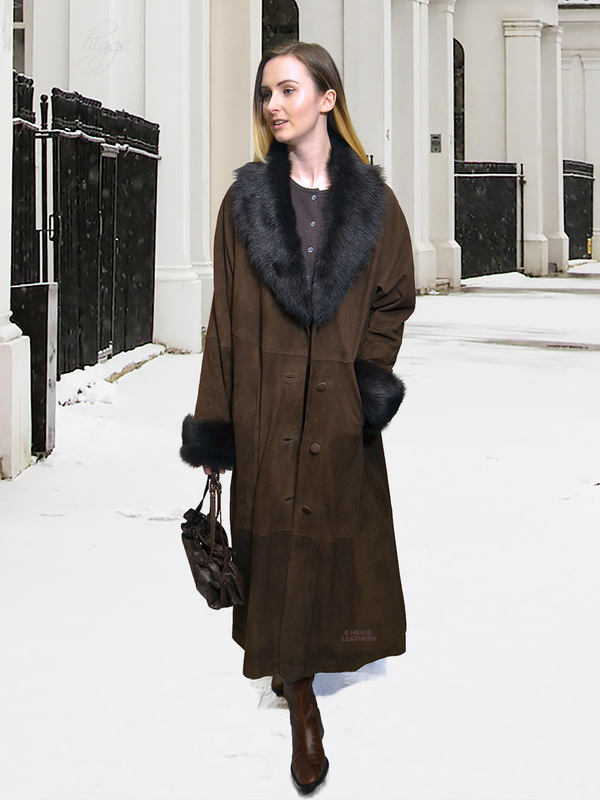 Incredibly soft, ultra lightweight Chocolate Brown shade Kidskin Suede extra long coat. Elegant swingback easy fitting body, raglan sleeves with luxurious full collar and turn back cuffs of longhaired Chocolate Brown shade Toscana Lambskin. The body has a soft high quality plain satin lining. Designed to be worn comfortably over thicker winter clothing. Comfortably placed pockets. Fastens with buttons and buttonholes. Coat length apprx. 50" (128cm).